Tth RecA is a RecA homolog isolated from Thermus thermophilus. It has a ssDNA-dependent ATPase activity at an optimal temperature between 65 to 75ºC. 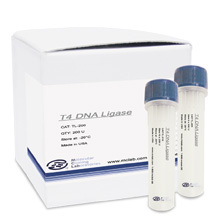 The extreme thermostability makes Tth RecA ideal for molecular biology applications that require an elevated temperature condition, such as nucleic acid amplification and sequencing. 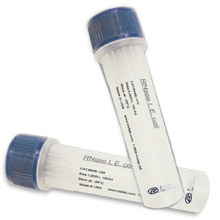 RecA Protein (Tth) is a RecA homolog isolated from Thermus thermophilus. It has a ssDNA-dependent ATPase activity at an optimal temperature between 65 to 75ºC. 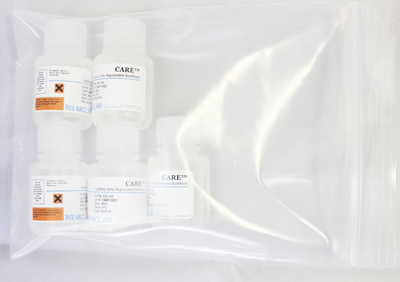 The extreme thermostability makes Tth RecA ideal for molecular biology applications that require an elevated temperature condition, such as nucleic acid amplification and sequencing. Purified from an E. coli strain carrying a plasmid that overexpresses the recA gene from Thermus thermophilus. Sold by mass of pure protein as determined by OD280. 1. Radding, C. M. (1991) J Biol Chem 266, 5355-8. 2. Wasserman, S. A. & Cozzarelli, N. R. (1985) Proc Natl Acad Sci U S A 82, 1079-83. 3. Biet, E., Maurisse, R., Dutreix, M. & Sun, J. (2001) Biochemistry 40, 1779-86. 4. Shortle, D., Koshland, D., Weinstock, G. M. & Botstein, D. (1980) Proc Natl Acad Sci U S A 77, 5375-9. 5. Rigas, B., Welcher, A. A., Ward, D. C. & Weissman, S. M. (1986) Proc Natl Acad Sci U S A 83, 9591-5. 6. Honigberg, S. M., Rao, B. J. & Radding, C. M. (1986) Proc Natl Acad Sci U S A 83, 9586-90. 7. Koob, M., Burkiewicz, A., Kur, J. & Szybalski, W. (1992) Nucleic Acids Res 20, 5831-6.